Great start to the home schedule yesterday. The Yankees blew out the Rays thanks to Didi Gregorius, and this afternoon they’ll look to complete the quick two-game series sweep. The Yankees are 3-2 so far this season and are basically one David Robertson pitch away from being 4-1. Alas. That’s baseball. Another rainy morning in New York. At least it’s warmer than yesterday. The rain has stopped already and it looks like they’ll get today’s game in. First pitch is scheduled for shortly after 1pm ET. You can watch on YES locally and MLB Network out of market. Enjoy the game. Injury Updates: Aaron Hicks (intercostal) hit off a tee yesterday and he’s scheduled to take about 80 swings today. The Yankees are pretty confident Hicks will return once his ten days on the disabled list are up … Adam Warren (ankle) is over the bruise and is available. 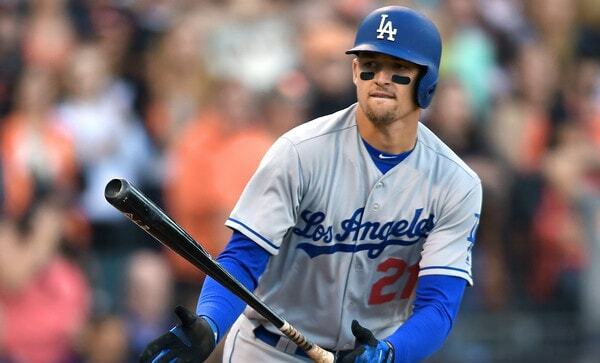 Roster Update: Aaron Boone said the recently claimed Trayce Thompson will go to Triple-A for now. Huh, didn’t expect that. Boone did say the Yankees will discuss it further, however. Thompson is out of options, so he has to go through waivers again to go to the minors. The Yankees are pretty low on the waiver priority list, which tells you most teams passed. He’ll probably get through this time. Update (12:35pm ET): The game will start in a delay, the Yankees have announced. Lame. There’s no word on a start time yet. 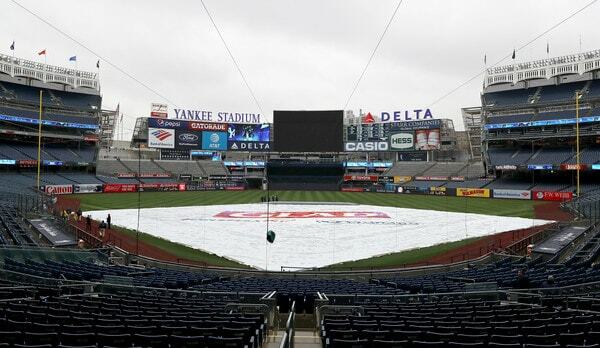 Update (1:57pm ET): The game is tentatively scheduled to begin at 2:35pm ET, so say the Yankees.